Sri Lankan lawmakers passed a motion Friday barring government ministers and their private staff from using state funds, as opponents of the disputed prime minister put pressure on an administration they say is illegitimate. The motion put forward by lawmaker Champika Ranawaka proposed that Cabinet ministers, non-Cabinet ministers, deputy ministers and their private staff cannot use state funds because their government has been defeated twice in no-confidence votes. The motion received 122 votes in favor in the 225-member Parliament, where lawmakers loyal to disputed Prime Minister Mahinda Rajapaksa boycotted proceedings for a fourth day. The move puts more pressure on Rajapaksa, who with the backing of President Maithripala Sirisena remains in office despite not having a working majority in Parliament. The vote came a day after lawmakers approved a motion cutting off funds for Rajapaksa's office on similar grounds. Sri Lanka has been in political crisis since Oct. 26, when Sirisena fired Prime Minister Ranil Wickremesinghe and appointed Rajapaksa. Wickremesinghe has insisted that his dismissal is illegal and has refused to leave his official residence. Rajapaksa occupies the prime minister's office. Soon after appointing Rajapaksa, Sirisena suspended Parliament, ostensibly to buy time to get the support of 113 members needed to enable Rajapaksa to run a government. Having failed to secure the needed support, Sirisena dissolved Parliament and called for snap elections. The Supreme Court has stayed the dissolution as it hears the case. 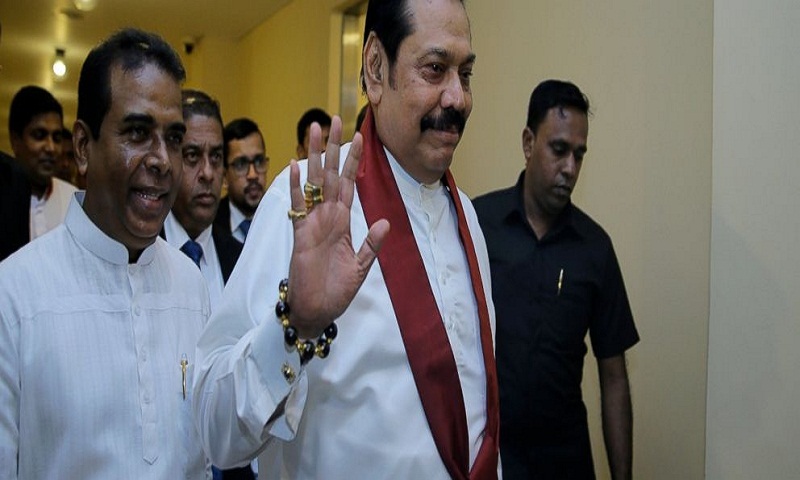 Since then lawmakers opposing Rajapaksa have passed two no-confidence votes against him despite disruptions by pro-Rajapaksa lawmakers who threw chairs, books and water mixed with chili power at lawmakers and police officers protecting the speaker. Both Rajapaksa and Sirisena have refused to accept the vote, accusing Parliament Speaker Karu Jayasuriya of bias and breaching parliamentary procedure.